Between the years 2006 and 2011 business and government groups within Germany began to develop an initiative aimed at improving the competitiveness of German manufacturers. The initiative, known as “Industry 4.0” [i], was based on the premise that we have entered a fourth industrial revolution. The first revolution was acknowledged to be Mechanization where water and steam power allowed large scale manufacturing to take off. The second revolution was identified as Mass Production and brought to the spotlight such innovators as Henry Ford and the concept of mass production of eventually every available product in the marketplace. The third industrial revolution was described as the Digital revolution ushering in concepts as broad as ERP for planning entire enterprises and as specific as programmable logic controllers that have a more floor level impact on production at the machine level. The fourth industrial revolution set forth by Industry 4.0 is referred to as Cyber Physical Systems, or CPS, where the “Internet of Things”, cloud computing and linking all aspects of a production environment allow for the creation of a network “incorporating the entire manufacturing process that convert factories into smart environments” [ii]. The concept of a smart environment within manufacturing will allow companies to wire lean practices as well as on demand customization of production right into their network of operations and realize gains in productivity, reduction in cost and increased margins. Of the enterprises currently pursuing Industry 4.0 standards most are doing so with an eye to increased production and others see it as an avenue to additional value streams where all production can eventually be personalized. Fully 90% of manufacturing leaders adopting Industry 4.0 technologies are doing so to improve production while 25% are pursuing it as a revenue generator. [iii] Regardless of which aspect drives future iterations of more integrated manufacturing there is a clear and definitive “on-ramp” for additive manufacturing and the creation of JIT parts and services within this new revolution. As additive manufacturing has gained exposure as an industry one of the restrictions on adoption of the technology across a broader range of enterprises has been the long and slow curve of educating potential users to its value and defining ways it can be used within their industry. The press hype of the past few years has not helped, more often defining additive manufacturing as a magical tool to be used in and of itself to create the world envisioned above by initiatives such as Industry 4.0. But with technology and production pushing forward with more networked systems of manufacturing and moving closer toward the “Internet of Things” as both a productivity and revenue generator additive manufacturing may have found its “on ramp” as an integral part of the described cyberphysical systems. While the statistics above may seem low for additive manufacturing in terms of competition for resources at the enterprise level the figures actually represent an enormous opportunity for additive manufacturing providers to accelerate the growth of their market and create new market opportunities while those companies seeking their services can benefit from the speed of part production and cost savings. 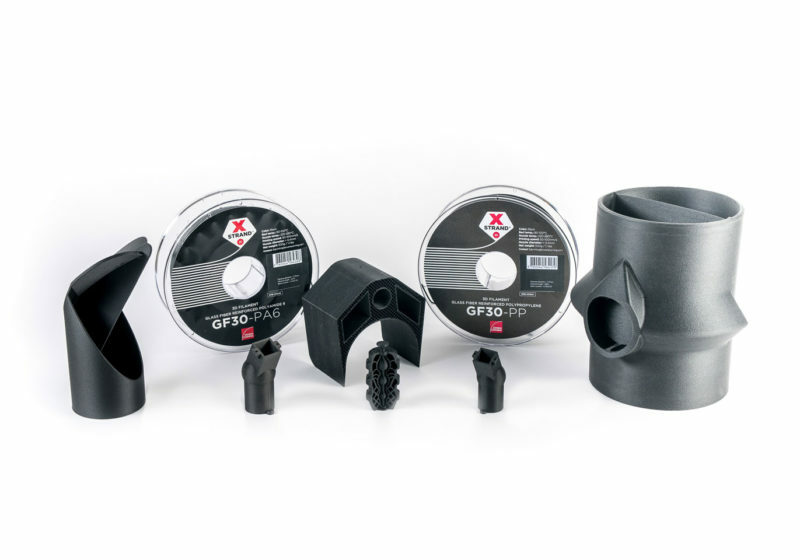 Additive manufacturing has reached the stage where it can offer real solutions for many businesses with an almost immediate impact on cost and flexibility. Already large diverse manufacturing companies in the US such as producers of appliances, small engines and specialty automotive are looking to additive manufacturing as a way to reduce inventory and warehousing costs and improve flexibility to realize JIT production for both their core machine parts and service and repair operations. And while large corporations may be investing in all technologies to build a smart factory virtually all manufacturing companies can benefit now from additive manufacturing’s ability to produce JIT parts and services. Digitizing through design or scan of an existing part or part catalog where current parts can be produced with accurate tolerances, geometries and materials. Reverse engineering a part not previously cataloged in order to shorten or improve supply chain costs and bring down lead time required to produce the part compared to traditional sourcing methods. It may reduce the number of suppliers and vendors with varying lead times and concentrate parts ordering to only what is needed and when. It could dramatically reduce excess inventory of parts and the associated cost and burden on cash flow for parts reaching end of life due to new models coming online and old models retiring. It allows the end user to print parts for complex equipment that may vary structurally based on model and sub-model. Producing only what is needed for a specific model or sub-model means less inventory of parts and therefore less cost and warehouse space. On Demand Tooling: Perhaps overlooked in the rush to improve production, reduce inventory and reduce costs is additive manufacturing’s ability to print tooling on demand as well as parts. For many companies with a heavy R&D focus the cost of innovation and new product development can be high. 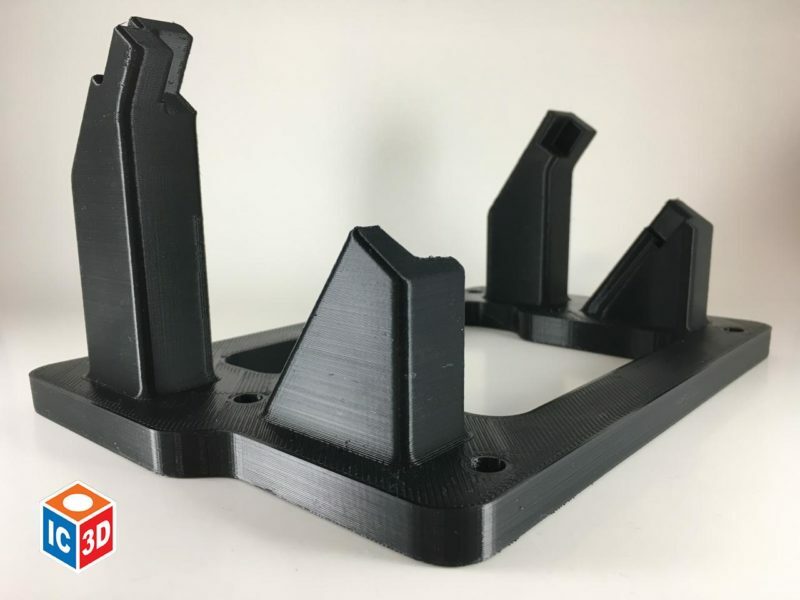 The ability to print 3D tooling in the form of jigs and fixtures can drastically shorten the development stage of a new product. But tooling with 3D printed parts can also be produced in the form of molds for injection molding as well. Mold making has always been an expensive aspect of some product development streams. 3D printing offers the possibility of producing in a few days and for a few thousand dollars molds capable of allowing the envisioned part to be produced that would have formerly taken 12-15 weeks and cost tens of thousands of dollars. [vi] The use of 3D printed molds can save thousands of dollars in development cost and significantly reduce the time to market for a new product. As technology advances there will be new names and new acronyms for new standards and each will be designed to take overall manufacturing and productivity to the next level. However, one need not wait on the next big initiative to take advantage of a piece of the puzzle that already offers solutions today. The use of additive manufacturing to create virtual inventories, develop whole systems for parts file management that is quickly and easily replicated to correct tolerances and to print parts and tooling on demand or on a well-established JIT program can move many companies to a closer realization of true JIT for their operation than ever before. 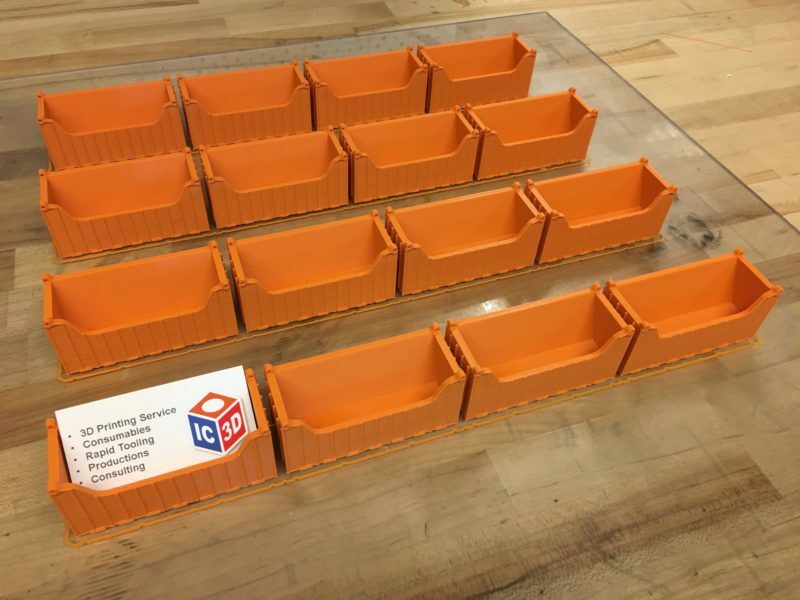 IC3D has over fifteen years of combined experience to help you develop the enterprise solution needed to bring Just in Time (JIT) parts supply and service closer to reality. Our expertise can also help you determine tooling for your R&D needs that will reduce cost and time to market for new products. 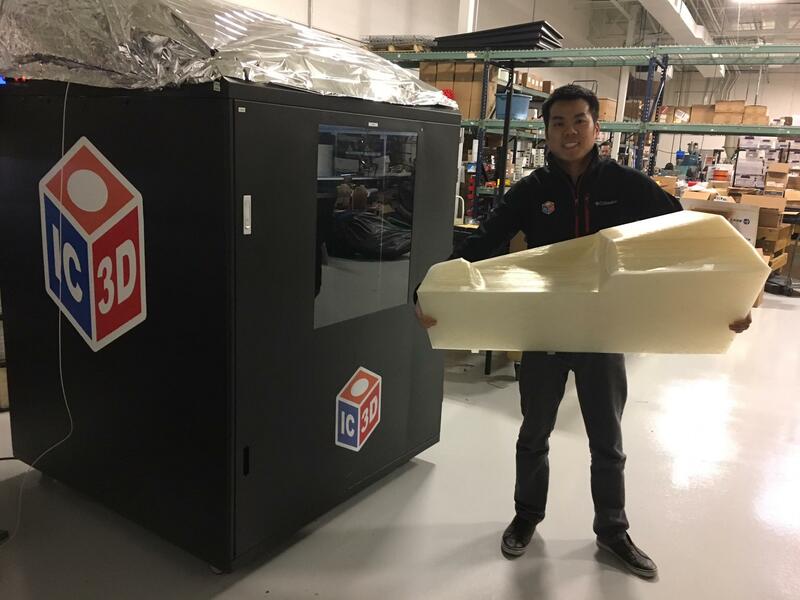 From our in house base of large format printers developed by IC3D and specifically designed to reduce costs IC3D is a 3D printing service bureau, consumables supplier and partner in your project from concept to prototyping to completion.